Drag Me to Hell is director Sam Raimi’s return to his horror-comedy roots. In the late 80s, he found success with his super-low budget Evil Dead and a sequel, two grungy, spooky, ghoulishly giggly movies, not entirely effective, but grounded in a superbly goofy performance from Bruce Campbell. After those movies, Raimi moved on to bigger studio pictures (including a third Evil Dead) before landing at the center of the Spider-man series, with which he has made one good, one great, and one crummy movie, in that order. In Drag Me to Hell, Raimi directs with a sense of energy and fun. The movie’s devilishly clever, howlingly funny, and hysterically creepy. This is genre filmmaking at its finest, a perfect B-movie gem that allows Raimi (from a script co-written with his brother Ivan) to play with all aspects of filmmaking to get a response out of his audience. From the opening notes of Christopher Young’s excellent score, I suspected I was going to like this movie. I didn’t think that I would love it as much as I did. Nor did I suspect that I would think it just might be my favorite Raimi film. After a brief prologue (with booming sound design and a great title card – I love the font and the way the title blasts onto the screen), we meet Alison Lohman who plays Christine Brown, the sweet, pretty, young loan officer, desperate to impress her boss to win a promotion and impress her boyfriend’s snooty parents to win their respect. She turns down an elderly woman’s request for yet another loan extension. The woman doesn’t take this well, to say the least, and, after attacking Christine after hours, curses her with a Gypsy curse that will subject the recipient to three days of torment before a demon will arrive to drag the person to hell. It’s certainly timely to have a movie center on torturing a banker (coincidence though, I hear), but it’s not self-damaging in tying itself to our particular time period. Besides, this isn’t one of those horror movies that mistakes leering at bodily harm for true fright. So, Raimi has a ticking-clock scenario for urgency and three days of torment for plenty of scares. Once the curse takes effect, the sound design is pitched at a louder volume than expected. The wind whips, leaves rattle, pots clang, and footsteps boom through the surround sound with ferocious intent. At times it seems like a surround sound demo with clangs to the right, bangs to the left, clunks behind. Raimi will then toy with the audience by cutting back the sound, creating one of those lulls where it’s obvious that there will be a jump moment any second now. But then the lull will go on much longer than expected, stretched out to a squirmy length, until…BAM! This is a movie that revels in making the audience jump, scream and squirm, not just with long lulls but with great gallons of goo for gross-out moments involving saliva, blood, formaldehyde, and undefined oozing, often landing in peoples' mouths. In fact, Lohman takes almost as much punishment in this movie as Campbell does in an Evil Dead picture. Well, not quite, but it’s heightened by her appearance of innocence. She’s constantly getting drenched in blood, mud, and bugs, not to mention slowly losing her mind to fear. Throughout the picture, she’s pushed to her limits. Her skeptic boyfriend (Justin Long) finds it odd that she wants to visit a psychic, but that’s just the first in a long line of boundary-pushing shifts that Lohman goes through. Animal sacrifice? (There are some funny jokes with this). Séance? (There is one, and it’s a great explosion of sound design and effects work. It’s funny and spooky, sometimes in the same instant). Who knows what she’ll decide to do to rid the curse? A great deal of the fun comes from seeing just how far she finds herself willing to go. A great deal more of the fun comes from the comedy. Raimi shoots the film with a vivacious energy that launches the paranormal at the characters and the audience in a sly deadpan. Just look at the confidence and cool with which the movie ratchets up the ridiculous, like the matter-of-fact introduction of a goat, or the sudden appearance of a coffin while Lohman (and the camera and, by extension, we) are distracted. Look at the parking lot scuffle in which two characters engage, with the way a stapler, a ruler, and a pair of dentures becomes bizarre and intense weaponry. This is a movie that encourages you to laugh while you can because you never know when the sense of dread will be punctured again, if ever. The thing that most elevates the movie above most other contemporary horror films, beyond the great, confident boldness of Raimi's craft, is the deep compassion that I felt for Lohman’s Christine. She’s not a perfect person – she’s not as entirely blameless as she might seem – but she’s wonderfully human, more than a pawn in a parable, grounded in an emotional reality that makes her an easy character with which to identify. Justin Long is equally human in his secondary role as the boyfriend. Together, they bring a real sense of tragedy to the proceedings. It’s one thing to fear for characters’ lives; it’s another to fear for their souls. Yet Raimi manages a tricky balancing act by allowing the film to be incredibly entertaining and very funny but also creepy and unsettling. The last scene of horror is especially frightening, and lingering. This is a great B-movie carnival ride with genuine chills and jumps, excellent tension, and fine jolts of comedy: fast and freaky funhouse perfection. I sure hope there’s a worthy sequel. Drag Me Back? Much has been made about the lack of merchandising appeal in Pixar’s recent movies. I fail to see why that should be so. From where I’m sitting, I can spot on my desk a WALL-E figurine and a stuffed Anton Ego (the food critic from Ratatouille). These aren’t conventionally appealing characters – they aren’t cute with pretty colors and soft edges – but they work on a better, deeper level. They’re characters to care about, to identify with, and they come from really good movies. With Up the kind folks at Pixar Animation have continued their uninterrupted run of greatness by once again giving us a beautiful, funny, heartbreaking work of visual splendor (I can’t wait to see the toys). I don’t like it quite as much as WALL-E (my favorite movie from last year), but that’s a tough act to follow for anyone, and doesn’t make Up any less of a masterpiece. There are moments so evocative, so moving, that I found myself with tears in my eyes; there are also moments so fresh with visual inventiveness and whimsy that I nearly whooped in joy. This is an exhilarating, uplifting film. I purposely tried to stay away from plot details before my viewing, so I won’t discuss any here. 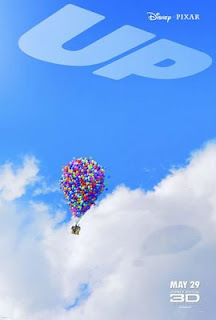 After all, everyone now knows the basic premise: an elderly man lifts his house with hundreds of balloons and takes off for South America, along with a little scout stowing away. The surprise comes from how the plot kicks in and the direction it goes from there, a direction that is both more and less predictable than you might suspect. The film unspools in surprising and delightful ways. Pixar is still working at a different level than their computer-animation competition. Watch the ways colors bounce and shift through the mass of balloons, sending dapples of primary colors across the sides of buildings. Note the realistic gut-flipping depth to the heights. See how director Pete Docter and his team have created characters that are immensely appealing and have real emotional heft. Ed Asner plays the old man, who is harboring a long dormant spirit of adventure, and mourning a deeply affecting loss. Asner brings the right amount of hidden charm to the man who’s not merely a grumpy-old-man caricature; he’s an understandable man with doubts, fears, regrets and vast reservoirs genuine human emotion. This character has more weight than many live action characters. His sighs pierce the soul as he shuffles about, the weight of his loneliness causing him to drag his feet as he clutches his cane, drooping ever closer to the ground. But watch how his adventure puts a new spring in his step as Asner gives his voice a bit more of a bounce and the animators slowly straighten his posture. And what an adventure this is. There are thrilling chase scenes that soar through the frame with graet energy and color mixed with a confident sense of weight and place. Pete Docter also directed Monsters Inc, with its great climactic roller-coaster sequence that takes the characters through a vast warehouse of closet doors that zoom by at incredible speeds while the characters go through disorienting loops and drops. Here, every chase is like that virtuoso sequence. The characters are literally tethered to this floating house (some subtle in-your-face symbolism) during these chases, and there is great inventiveness in the way they flip, dip, fly, and fall but (hopefully) catch themselves at the last second. The action is perfectly paced and elegant in its cartoony construction. There are great moments of generous whimsy as the movie plays out like a vast expanse of the imagination, but the whimsy is focused and controlled, playing perfectly within the rules the movie sets forth. This is a movie giddy with the act of creation. The filmmakers know they have a great story to tell and trust the audience will go along with them on the incredible ride they’ve designed. It’s not as tight a plot as Pixar has had in the past. In fact, the movie feels unpredictably adrift in the specifics, but always, oddly, comfortably predictable in the arc of the ride. This is certainly no mindless ride. Unlike Monsters vs. Aliens, which used its high-concept plot to merely plug in a couple sequences of high-speed – but bland – visual frenzy, Up unfolds with patience and care, hitting character moments both big and small with ease and subtlety that allows the action pieces additional stakes. We care about these people; we care about their dreams and goals, their hopes and fears. Above all, we want them to succeed. I could indentify equally with the old man and the little boy. They reminded me of people I knew, people I know; they are who I was, am, and could be. The opening scenes of the film introduce us to the old man as a little boy (looking a bit like a young Roger Ebert) then reveal his entire life to date (until he looks vaguely like Spencer Tracy), and are heartbreaking and beautiful, simultaneously, in their immediacy and potency. In fact, Pixar expertly shows in minutes the impermanence, the fleetingness, of life that some films can barely show in hours. It’s not often that family films tackle these feelings, along with feelings of regret, loneliness, and the awful and sweet unpredictability of life. Even rarer, the family film that tackles them well. Up is beautifully rendered in picture and perfectly controlled in tone. There are shots that rival Miyazaki for pure artful beauty, but this is also, like Miyazaki’s films, a blast, as signaled by (the always great) Michael Giacchino’s excellent score that bleats with childlike glee at the humor with a deep, soaring, undercurrent of respect. It’s a fun and exciting movie. There have been other movies so far this summer that have made my inner child happy, but only Up pleases the inner child and the outer adult in equal, even overlapping, ways. (Only Star Trek's come close). This is a nimble, mature, complex film of deep emotion and huge creativity. In other words, Pixar’s done it again, with a film that lands on the heart with a feeling of permanence. Note: Pixar’s tradition of including a pre-feature short is intact with the inclusion of the delightful Partly Cloudy, a work of quick visual humor that expertly manipulates emotions. Also, the use of 3D in Up is fairly unnecessary. Feel free to save yourself a few bucks by seeing it in 2D. What is there to say about Dance Flick? It’s yet another saturation-style spoof movie in the long line of films that started all the way back in 1980 with the Zucker/Abrams/Zucker production Airplane! (or maybe in 1974 with Mel Brooks’s Blazing Saddles and Young Frankenstein) and hasn’t stopped since. I’m totally tired of this genre; it hasn’t been funny in years, painfully unfunny and awkwardly constructed at best, and let's not talk about at worst. The genre reached its nadir last year with four – count ‘em – releases: Meet the Spartans and Disaster Movie from Friedberg and Seltzer (of Date Movie and Epic Movie) and Superhero Movie and An American Carol from Zucker. So here we go again with Dance Flick, a Wayans variety spoof movie, they of Scary Movie and Don’t Be a Menace – the varied and interconnected world of spoof movies can be overwhelming, can’t it? This time around, the movie uses the structure of Save the Last Dance and hangs upon it digs at Step Up, Hairspray, High School Musical, Fame, Dreamgirls, and other contemporary all-I-want-to-do-is-dance kind of films. As I walked into the theater, I slunk down in my seat, ready for the awfulness which was about to greet me. Then a funny thing happened. I found myself laughing; not too often at first, but then I would laugh a little louder and smile a little wider. I wasn’t exactly enjoying myself, but it wasn’t a full-time cringe, which is, I suppose, a step up from the genre’s recent track record. I laughed because this wasn’t just mindless recycling of recent cultural touchstones. There is some genuine sociological drive behind some of the humor, even if the point it makes is unoriginal. Hey, there's such a thing as deadbeat dads and neglectful mothers. Who knew? But this is not, I repeat not, a recommendation. Too often, a genuinely funny moment is followed immediately by a sequence cringe-worthy in tastelessness or awkward in its lack of humor. I could talk about performances or specific bits but, who cares? This isn’t a movie with great performances, and all involved should know it. This also isn’t a movie that has comedic moments that are easily explained. You wouldn’t understand if I told you that the funniest line in the movie comes when a character looks at the camera and deadpans “For those of you watching on TV, I am wearing a yellow suit.” It's all about context, or lack thereof. Or maybe it's all about the tone in which it is said. Or maybe I was tired. I am at a loss, dear reader. I am confronted with a movie that I know in my mind and heart is a movie that is not well-made, and yet I did laugh, and at a ratio of about 3 jokes to every 1 laugh, which isn’t bad for a type of comedy that sends jokes flying at the audience at a fairly rapid rate. So what do I tell you? In the end, all I can think to say is this: if you like this kind of thing and are willing to cringe through the dry spots to get to the really funny stuff, go for it. Looking back at what I just wrote, I realize that this review is the written equivalent of rambling for a spell and ending up just as unsure as at the beginning. This is just the kind of movie that’ll do that to you. The first Night at the Museum was a dull, sad experience as it was nothing less than a feature-length death of a great concept, killed by neglect. Sure, Ben Stiller stood amiably in the center of crazy CGI gewgaws as New York City’s Museum of Natural History came to life after nightfall, but it was repetitive, never clever, and just plain boring. 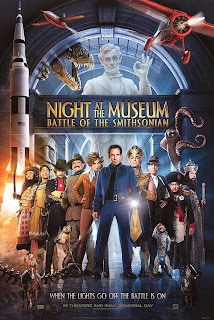 It was a tacky mess of bad jokes and unearned sentiment, but it made a lot of money so here we are with Night at the Museum: Battle of the Smithsonian. In this new picture, there are some nice visual moments and some genuinely funny moments, but it’s also louder, longer, and more nonsensical and unnecessary than last time. This time around, Stiller follows most of the characters from the first movie (including a monkey, Owen Wilson and Steve Coogan) to the Smithsonian where they are being terrorized at night by a very mean ancient Egyptian pharaoh. Hank Azaria is very funny as the pharaoh. He steps through his scenes with a goofy, lisping accent and speaks through it with such oddball intensity, that I couldn’t help but be amused. Unfortunately, he’s the villain, and I just couldn’t take him seriously as a threat. At one point he takes one of our wax-figure heroes and threatens to bury the figure in sand if Stiller doesn’t do as he’s told. So off Stiller goes, worrying about this wax figure and all I could think was: he’s a wax figure! He won’t suffocate! This led me into a larger, more fundamental problem I was having with the movie. I didn’t understand why we were supposed to care about these statues and figurines. Just because they can move and talk doesn’t make them human. Why does Stiller care and why should I? This sort of thing can really work (see: the Toy Story films) but here is a sad, sorry case of botched anthropomorphism. There’s a host of very funny people here, too, but they don’t have time to create anything really funny as they just dash about, shouting a line or two here and there. Amy Adams is her usual brand of charming as an Amelia Earhart statue that struts through the picture spitting out roughly 30s-style screwball-comedy lines. Christopher Guest and Bill Hader have some funny moments as Ivan the Terrible and General Custer, respectively. Jonah Hill, Mindy Kaling, and Ricky Gervais, as well as the Jonas brothers as singing cherubs, each get a brief scene to shine, but too much of the movie is given over to a totally bland Ben Stiller performance and uninspired plotting that sends characters everywhere and nowhere at the same time while seeming to change its fantasy rules whenever it suits the filmmakers. Early on, much is made of the Egyptian tablet that causes the museum to come to life, and yet (little spoiler) the Smithsonian creatures stay very much alive when Stiller flies off at the end with tablet in hand. This thing is a mess, woefully inconsistent, chaotic, and overlong. I laughed a little, and found some of the visual tricks clever (there’s a neat moment involving a hall of artwork), but even for lightweight summer entertainment this is junky and ill conceived, an uncalled for expansion of a what was a poor property to begin with. At times, when I lost myself in laughter at Azaria's performance, I could almost forgive the movie. But every time I stopped laughing, I crashed back into reality, wondering when the movie would ever end. And yet, I still think the idea of all the things in a museum coming to life is a great concept, just not in the hands of the people who've been inflicting these upon us. The first Terminator, way back in 1984, is a B-movie blast: a dark – and darkly funny – sci-fi actioner that uses a cool time-travel hook only to get us into a merciless hunt-hunt-hunt kill-kill-kill chase movie. By the time 1991 rolled around, director James Cameron had made, with Terminator 2, the universe of his initial film more expansive with a more daring exercise in mythmaking. The film is looser and longer, but the budget, and the boom, is bigger and more resonant. There’s a real sense of inevitable tragedy as Linda Hamilton, as Sarah Connor, and Edward Furlong, as her son John, race against time to stop the evil robots from taking over the world, all the while knowing that if they succeed, John would never exist because the events leading up to his birth would never have been put into place. The two movies work so well, both together and separately, that there was never any time to slow down and think about the logic of the time travel contained within. With the blander third picture and a TV spinoff, there was ample time to consider why the time travel plots used in this franchise open up too many questions that lead down ridiculous roads. If any thought is put into it, the franchise really shouldn’t exist at all. Why don’t the evil robots send a terminator even farther back in time where the humans wouldn’t be able to fight back? Why don’t the evil robots just fill the world with poison which would kill off humanity while leaving mechanical objects intact? But that’s a dangerous road to go down if one wishes to keep enjoyment of these movies intact. The biggest question I had going in to the fourth film, Terminator Salvation, was whether or not the film would successfully get past the time travel hangups and allow me the pure enjoyment of a summer action picture. The answer is: yes, for the most part. The movie, directed by the relatively lightweight McG, is a big, grim, action movie with satisfying visuals and cool special effects. It suffers from a serious case of mid-film drag but manages to shake loose for a fun climax. It doesn’t add much to the overall mythology of the franchise but at least it entertains. It succeeds in a way that the first Terminator film does; it takes a standard sci-fi trope (the man with no memory and the machine with a consciousness) and uses it for a bit of pathos, but mostly an excuse for more action. The center of this subplot is actor Sam Worthington, who first appears in the opening scenes of the film as a prisoner on death row who signs away his body to science. He shows up again years later, after the opening credits and an explosive action sequence, mysteriously the same age and with no memory of the intermediate years. He may or may not be a robot now, but he becomes the emotional center of the movie for me. The emotional center of the movie is certainly not Christian Bale, as John Connor, fine actor though he may be. Here he operates in two modes: intense and grim. He doesn’t elicit my compassion or my sympathy, although, to give Bale credit, the script is definitely no helper in that department. I cared about John Connor only because I had seen the other Terminator movies. This movie takes place in the future, after the robot uprising, and contains thrilling scenes of robotic combat. Although the Terminators have none of the personality or singular scariness of Arnold Schwarzenegger’s or Robert Patrick’s models, they generate a kind of terror and awe of their own. The gears grind as the mechanical beasts clang forward and shoot and punch. There are slick robotic motorcycles that zoom through the barren landscape, charging down renegade humans, the ones that haven’t been picked up by startling appearances by giant metal claws. Struggling to survive being hunted by these technological terrors is Kyle Reese (franchise devotees will recognize that name), played by Anton Yelchin – young Chekov in Star Trek just a few weeks ago. If Worthington is the emotional center of the movie, then Yelchin is the emotional drive. I cared about him, not just because I had seen the earlier movies, but because Yelchin, with no help from the script, plays at the genuine human beneath the cog in the plotting. This film has more in common with Star Trek than just Yelchin. It reinvigorates a sagging story, although here it is less radical reinvention and more canonical doodling in margins. It’s filled with all kinds of winks to franchise history that cause me to smile. You can believe someone says “come with me if you want to live” and you would be kidding yourself if you thought no one would say “I’ll be back.” Linda Hamilton shows up in a vocal performance only and I felt a surge of excitement when Ahhnold himself (with somewhat convincing CGI de-aging) steps out of a cloud of steam. It felt earned – it felt right – that the original Terminator was doing battle again. But also, like Star Trek, this movie made my inner thirteen-year-old very happy. 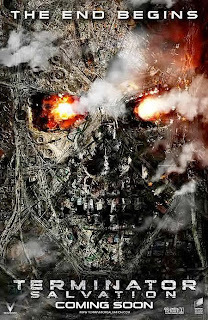 It’s not as good a movie, or as satisfying an overall experience, but Terminator Salvation sets out some modest action-oriented goals and meets them, while taking the franchise a step back from mediocrity with fresh promise for future endeavors. As quick, blunt, and economical as its title, Fighting goes through the motions with skill but little passion, in contrast to director Dito Montiel’s first film. That film is A Guide to Recognizing Your Saints, a roughly assembled semi-autobiographical film that jumped about and occasionally missed the emotional mark, but was shot through with such vibrant passion that energized every edit and jolted the interactions into a state resembling a half-remembered fever dream of repulsively attractive nostalgia. That was a good movie. Fighting, on the other hand, is just a junk movie: reasonably well-made but unexciting. It just sat up there on the screen while I was profoundly indifferent. It’s the story of a young man who gets sucked into a world of underground fighting in New York. 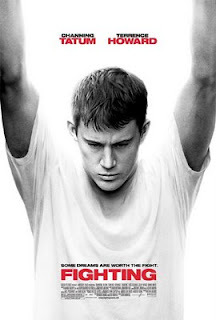 That young man is played by Channing Tatum in yet another of his tough guys with wounded souls. He does it well again here – there’s something about his smooth rectangular face, with his eyes lost in the mass of flesh, that can project a wounded warrior – and has some nice moments with Terrence Howard who’s playing a self-described two-bit hustler. They rarely raise their voices, softly mumbling their way through the movie. There’s also a romantic interest provided by the pretty Zulay Henao, but the most interesting characters, such as they are, lurk around the edges. There’s Luis Guzman and Roger Guenveur Smith (a quintessential what's-his-name) as sleazy peers of Howard’s and an entertaining Altragracia Guzman as Henao’s grandmother; they do the best they can with the material given, but they remain only half-formed characters. There’s no sizzle to the movie. It’s bland and formless, thoroughly uninteresting and unexciting in form and execution. As it played out, I found that I really only had one major complaint about the film: I simply didn’t care. It was competently shot, but the movie failed to make me care about the stakes. I had no interest in discovering what happened next. It became a dead piece of cinema to me, nothing more than a series of images and sounds. I didn’t hate it - it’s totally watchable - I just didn’t care. 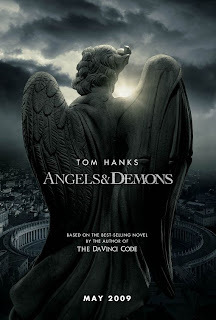 There’s an entertaining thriller somewhere within Angels & Demons, but it’s hidden behind a creaky pace. Tom Hanks is back, looking unusually exhausted and once again without his charisma, as Robert Langdon, the Harvard symbologist (ha!) who cracked the DaVinci Code. This time he has to stop a plot to destroy the Vatican. The movie is helped by the presence of a literal ticking-bomb scenario but why, then, does everything seem to happen at such a sleepy rate? The movie is intermittently thrilling but never really involving or frightening. By the time the movie turns splendidly pulpy in the last act, it’s too late. There’s a solid cast of supporting characters. If there's one sure way to liven up a dull B-movie, it has to be: hire European character actors. Ewan McGregor and Armin Mueller-Stahl play officials of the Catholic Church who billow through the ornate cathedrals and archways with a grand sense of purpose and grave portentousness. Stellan Skarsgard is also on hand to huff and puff as head of security and Ayelet Zurer - as a bioentanglement physicist (double ha!) - gets to stand in the background of many scenes (sometimes she even gets to say something). On the whole, this movie is less ponderous and pretentious than DaVinci Code, which leads me to assume that director Ron Howard realized that, despite the high gross, all the people who found the first film a little on the stuffy side were correct. But Mr. Howard has not swung far enough the other way. This time, instead of quietly murmuring monologues of pseudo-historical hogwash, the characters shout it or gasp it while racing through Rome but it’s just as repetitive as the first film. “Blah blah blah cathedral! Blah blah blah statue!” Repeat. The film also helpfully reminds us of major plot points regularly, for the convenience of those who have nodded off between murders. Speaking of murders, the movie manages to be quite bloodthirsty and the MPAA ratings board has had no qualms about giving the film a PG-13 despite lingering upon brandings, rats gnawing a fresh corpse, one bloody slit throat, and, oh yes, a delightful scene in which a man with a chest wound is given CPR that causes a spurt of blood to soak the face of our hero. And yet Slumdog Millionaire received an R? It would be one thing if the carnage here served a fun, fast plot but it's merely a sad attempt to liven up some dusty proceedings. In the face of all that brutality, it’s a shock to find that the movie goes soft in other aspects. There’s a legitimate conversation to be had about the respective roles that science and religion play in modern life, and perhaps a summer blockbuster is not the appropriate place to have it, but this movie pays lip service to grander ideas, uses them to fuel its plot, but is never honest about the conflict or lack thereof. I can understand not taking sides so as not to offend any member of the audience, but Ron Howard, and his writers David Koepp and Akiva Goldsman, downplay both sides to such an extent that a member of the audience could be forgiven for assuming that neither side has any point at all. Though such intellectual dishonesty has long marred all movies focus-grouped beyond the point of making any statements about anything, it’s rare to stumble upon one that, if thought through, has the capacity to make one question the basic meaning of life. If both science and faith are wrong, where does that leave us? It’s a good thing that no one goes to these kinds of movies looking for answers to life’s big questions (I hope). Grotesqueries and hypocrisies aside, the movie manages several scenes of competent thrills and spills amongst some gorgeous production design. Mostly taking place at nightfall, the characters run and stalk through settings choked with atmosphere: cobwebbed caverns and shadowy passageways with dramatic lighting (and dramatic camerawork) accentuate the beautiful architecture of the city. The plot is appropriately twisty and the last act, as previously hinted, goes pleasantly insane with some last minute twists, some Vatican backstabbing and skullduggery, an act of self-martyrdom, and one very large explosion. It’s too bad it takes so long to get there. There’s a fun summer movie to be had at times, and if you’re forced to see it, there are certainly worse ways to spend two conspiracy-minded hours (see, or rather, don't: National Treasure or The DaVinci Code). I just wish someone had been let into the editing room to shave thirty to forty minutes off this thing to make it sail past its tepid attempts to tackle serious topics and get us even faster to the fun. Ghosts of Girlfriends Past is a leaden, slightly misogynistic, romantic-comedy reimagining of Dickens’s Christmas Carol. Matthew McConaughey, in full smarmy “heeeey there” drawl, is the romantic Scrooge who shows up at his brother’s wedding (Breckin Meyer and Lacey Chabert play the bride and groom) and makes everyone unhappy until a visit from three ghosts - you know the drill - makes him stranger but ultimately more pleasant to be around. Will he also learn that Jennifer Garner really is the love of his life? Take a guess. This is a particularly uninvolving movie and a dumb, slow, uneven one as well. There’s no wit or imagination to the proceedings, no human spark. The characters move about as plot delivery devices, talking only in vapid generalities. The movie is not even particularly well-shot, often resembling a bad sitcom at worst with hacky passionless workmanlike framing at best. Director Mark Waters has directed two pretty good comedies - Mean Girls and the remake of Freaky Friday - but seems unable to make this material into anything worthwhile. Maybe it's the ghosts; his Just Like Heaven didn't really work either, but at least it had some nice moments. Ghosts is the kind of movie where I found myself scrambling to get an entry point into the material to no avail. It’s too bland, too vanilla, too predictable, and too predictably bad. The best I could find was the welcome presence of screen veterans Robert Forster and Anne Archer as the bride’s parents. They haven’t been in anything good in a long time, but they bring some class and dignity with them and are miles more compelling than any other characters in this wreck. Their wrinkled, twinkly faces don’t grace the screen often enough, and their characters are left in the background most of the time. That the best moment the two of them are allowed is shoved in the margins of the end credits is a shame. I would have followed those two out of this movie and into a better one if I could have. The biggest problem with the movie, beyond the general lackluster scripting and execution, is McConaughey himself. He drawls and leers and is expected to gain our sympathy throughout his ordeal. That doesn’t happen. He just drawls and leers some more until there’s a mad rush in the third act to make us believe he changed. The movie still would have been bad had this been handled better but shouldn’t an attempt to moralize and sermonize have a better grasp on its own message? The point the movie ends up making is: objectify women until it doesn’t make you feel good. How’s that for a take-home lesson? Aesop it ain’t. This is a fairly terrible time at the movies. It is not good that the best I can say for it is that it didn't make me churn with anger. When the woman sitting behind me changed from repeating lines to her group to predicting lines for her group, I knew the movie was a particular brand of bad. That she still seemed to be enjoying herself was merely depressing. I should have just seen Star Trek for the third time instead. It’s refreshing, after all these years of diminishing returns and dormancy, to see Star Trek back and as good as it has ever been (which, for me, is the second film Wrath of Kahn and TV series The Next Generation, although that's certainly not all I've enjoyed). The new movie is both an excellent starting point for people whose relationship with the franchise is little to none and a great chance for rediscovery for those, like me, whose interest has waned some in the years since the franchise last churned out interesting product. It is a fast-paced (I’ve seen it two times in two days now and, boy, does this thing move) crowd-pleaser of the summer-popcorn variety and a great revival of these classic characters. 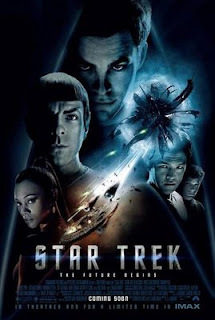 The movie is a reintroduction to the general public, focusing mostly on young Kirk and young Spock, at least at the beginning of the film. Chris Pine (as Kirk) and Zachary Quinto (as Spock) create distinct performances, respectful without ever copying the original performances. Quinto, especially, seems to get into the core of Spock, his Vulcan calm hiding tumultuous humanity. It’s a testament to his performance that when, through a time-warp, Leonard Nimoy shows up playing Spock, Quinto’s portrayal does not seem any less true. I know it’s traditional for reviews to set up the plot of the film but the movie is so startlingly solid that I hesitate to reveal much at all. The movie’s actual plot (by which I mean the villain’s evil plot) is the weakest link, but it’s not terrible and we needed some way to explain away inconsistencies, round up the characters into one place and show us why we liked these characters to begin with, even all the way back to 1966 when they were first revealed. Director J.J. Abrams and writers Roberto Orci and Alex Kurtzman have allowed the movie to create charges of recognition as the plot gathers steam. I never thought it could be so exciting just to hear the word “phasers” shouted again. Uhura (now Zoe Saldana) is just as striking, but with more emotional complications. That has to be McCoy; Karl Urban’s doing a great job matching DeForest Kelly’s intense yet jovial mannerisms. There’s the Enterprise! It looks great! Now we’re on the bridge. There’s Sulu (John Cho) and Chekov (Anton Yelchin). Where’s Scotty? Don’t worry; he’ll show up, and Simon Pegg will play him perfectly. The movie gives great moments to all the cast members and I was so grateful for it and the great rush of nostalgia the movie gave me. This is the kind of big-budget science-fiction space opera movie I’ve been loving since I was a kid, the kind of movie that is fast, loud, colorful fun, by turns funny and suspenseful, filled with the latest, greatest bells and whistles and stuffed full of surprising and delightful turns of events. My first viewing I was distracted by catching all the in-jokes, the winks (look at the member of the away team in the red jumpsuit, ha ha), and the recognitions that I ended up nitpicking the movie as I watched it, wondering if the chances taken with the established back-story were paying off, questioning if the surprising wholesale destruction of a major element of the universe was worth it. And is it just me or is the middle of the film a bit soggy? My second viewing dissolved all such doubts. This movie works as fast and as successfully as it moves, propelled along by great visuals and a great score (by Michael Giacchino, who has fast become one of my favorite composers). Abrams finds room in the pacing for beautiful shots amid some unfortunately blurry action. Early there’s a wide-angle shot of a line of shuttles moving away from a wounded ship which will be echoed later with a similar shot of a line of missiles moving towards a ship. So it looks great, sounds great, and moves along quickly. I guess that means the movie is very satisfying, and a total blast to boot. It’s one of the most welcome and enjoyable franchise reboots and, unlike Bond and Batman, doesn’t exist completely outside the established canon. By the end of the movie, I’m energized (no pun intended) and ready for more Trek. I can’t wait to see where the franchise will go after this most promising start. It's okay that they left out Klingons and the reflections of contemporary social issues. They had to leave room to grow. Running the festival circuit, Sita Sings the Blues developed a small and loyal following, although not a distribution deal, and clearing the rights for the songs contained within is an expensive proposition. Director Nina Paley has allowed the film to circulate free on the Internet, her goal simply to get the film seen. Now it has opened at the Gene Siskel Film Center in Chicago where it can be seen projected on the silver screen. This is a self-released animated film, the kind of very independent film that seems to have been put together by creativity and will-power alone, and well worth checking out both because of and in spite of those facts. I saw it online but would love to see it in a theater. There’s just something about being with a group of strangers, dwarfed by a screen, lost in the light it reflects, that sitting curled up with a laptop cannot replicate. In Sita, three bickering narrators tell an ancient story from the Sanskrit epic Ramayana and are occasionally interrupted by musical sequences set to 1920s jazz songs from Annette Hanshaw which further the story and modern vignettes telling the story of a modern-day couple. It sounds complicated and dull, I know, but there’s such vibrancy, humor and wit about the proceedings, such a beautiful use of color, editing, and sound that this very old story manages to earn an emotional impact with all this hipness and artfulness adornment. This is a funky, imaginative film unlike: a true original. To say it’s like Hercules, Yellow Submarine, Betty Boop, and Spirited Away in a blender is too reductive. This is fully and totally without precedent: a funny, exciting, sad, strange and beautiful movie, one that has supporters like me (and Ebert, and Kristin Thompson, and…) trying to catch it as it falls through the cracks. This is not a film of lush, detailed animation along the lines of Miyazaki or Pixar. In fact, the animation is simple and spare, even rough at times, but that doesn’t change its beguiling, transfixing power. The style of drawing is caught somewhere amidst Saturday-morning-cartoons, puppet shows, and cheap Flash animation but it’s put to use in such a great story and is arranged in weird and wondrous patterns and textures that I couldn’t pull my eyes away too often, even though the pace and rawness of the animation gets a little stiff in spots. There’s great girl-power sass and hilarious irreverence to be found here, but it never drowns out what makes the inherent, ancient story so appealing. 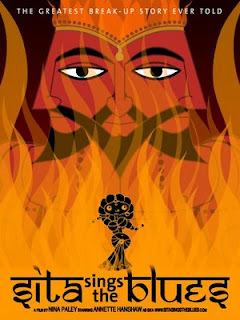 Sita is a strong, compelling character, as is her relationship with the men in her life, especially her lover Rama. The story is an interesting look into gender politics of the ancient world that Paley uses as a prism through which we can view our own conceptions of gender. This is not always a happy story and the wistful jazz melds so beautifully with the story that it’s astonishing (like all great ideas) that no one has tried this before. The final moment of the film is transcendently – though somewhat depressingly – freeing as Sita flings herself…well, I won’t spoil it except to say that it is a curiously, beautifully, sad moment that’s surprisingly satisfying. Cultures, both ancient and current, the world over are overflowing with stories that we, by which I mean “Western nations,” have never heard. Why drag out the old stories for yet another retelling when it’s often just as satisfying, if not more so, to find stories that haven’t been told to death? Paley has done some great cultural excavation to create this film. I’ve never read the Ramayana or heard a single note from Hanshaw before I saw this movie, but now I’m wondering why it took me so long, and glad I had a chance to be exposed to them both in such an entertaining and fresh experience. Watch it online, find it at a festival, or hope your local art house will put it on a screen. You can find all the information about how to see Sita here. I’ve been suffering from a malaise of disappointment ever since walking out of X-Men Origins: Wolverine, so much so that I felt hesitant to write about it. The series has reached such heights (including X2, one of the best superhero movies ever made) that seeing it fall into so much dismaying mediocrity is disheartening. Some fans have complained about the dip in quality between the second and third installments. Wait until they see this. There’s nothing wrong with the basic story. Wolverine is a cool character, played well by Hugh Jackman, and the movie’s loaded with cool mutants. But the movie rushes forward like an abridged version of a story with more complexity than we are presented. Relationships between characters are confused, vague, and undefined. This is a rushed, simplistic, movie that trots out characters for a scene or two then hustles them to the sidelines or to their death. The ensemble has been the highlight of past X-Men films. Why keep these characters underused, especially if the extra screen-time isn’t going to be used toward doing more than barely sketching in Wolverine’s background? The movie starts in 1845 with a soap-operatic scene of confused familial lineage that ends up having no bearing on the rest of the plot, other than to showcase a young Wolverine discovering his bony claws. Then we’re thrust into a montage of wars in which Wolverine and his brother (the future Sabretooth, played by a game Liev Schreiber) fight. It’s never exactly clear why they’re fighting but I just accepted it, not knowing that it signaled a lack of attention to detail that would plague the film throughout. After they get in trouble in Vietnam, the two mutant brothers are approached by General William Stryker (Danny Huston, taking over from X2’s Brian Cox) to join a Dirty-Dozen-style team of mutants for covert missions. The first scene involving the group (which includes mutants with vaguely-defined powers and personalities played by recognizable faces like Ryan Reynolds, will.i.am, and Dominic Monaghan) works fairly well. It moves with a zip and clarity that the movie can never replicate afterwards. Wolverine quickly leaves the group and moves on until we catch up with him in love with a school teacher and working as a lumberjack. He’s pulled back into a revenge story after the school teacher is killed, a revenge story that’s only a little convoluted and involves injecting adamantium into his skeleton in a procedure presented with none of the visceral horror of the very brief flashbacks in the previous films. The dialogue is often obvious and clunky; the cinematography is equally uninspired. The movie races through its plot, strewing loose-ends and haphazard tie-ins trying to look and plan simultaneously backwards and forwards along its franchise trajectory. Almost ten years ago, Bryan Singer directed X-Men. At the time, the chief criticism of the film was that it spent too much time explicating the powers and relationships of the various mutants before plunging into the plot. This movie, directed by Gavin Hood, of the slightly overrated Tsotsi and perfectly-rated Rendition, proves that the first film’s approach was correct. The first film, the first two films actually, slowly revealed mutant after mutant, plot-thread after plot-thread, carefully expanding the world of the franchise and grounding them in a slick, stylized reality with real-world (or a gleaming, Hollywood version thereof) sociopolitical ramifications to these mutants. Here, the movie has no consistent tone and dashes through melodrama and not-so-special effects with little style and less wit. These are colorful mutants in cool situations. Why isn’t it more fun? It’s not an exactly awful film, but it's seriously underwhelming. I expect more from this franchise; at its best, the X-Men films are powerhouses of blended art and commerce (like the great string of superhero films last year which gave us Iron Man, The Incredible Hulk, The Dark Knight, and Hellboy II). With the bar set so high, Wolverine had much farther to fall, making it even harder to watch as it failed to entertain me. What a way to start the summer movie season.